Rewards Canada: Staying with Marriott in Canada? Take advantage of these bonus offers to maximize the points or miles you earn! We did an update on our Marriott Rewards Bonus Points page today and there were several new offers for stays at some Canadian locations so we thought it fitting to summarize the bonuses you can take advantage of for your Marriott family of hotel stays in Canada. Now the issue with the MegaBonus promotion is that you have to complete multiple stays, at least 2 minimum depending on which offer you are selected for. Now if you know you may only have two stays and the MegaBonus offer that comes up for you isn't the free night after two stays you can always call Marriott Rewards and see if they'll change the offer for you. Then you have these individual hotel stay offers at select hotels in Canada. The good news is these offers are awarded on your first stay (there may be a multiple day minimum) and they can be combined with the Marriott MegaBonus promotion! 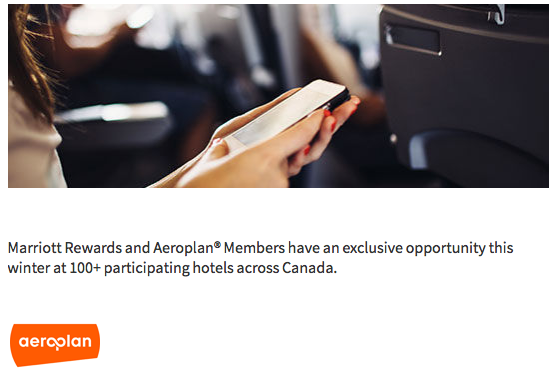 And finally if your travels take you out of Canada then be sure to check out our Marriott Rewards Bonus Points page for dozens of other individual hotel stay bonuses around the globe!